In 2006, the Zildjian company launched its third “Mission from Gadd” North American clinic tour, giving drummers across the country an opportunity to experience Steve Gadd’s humility, generosity, and creative genius firsthand. On this DVD, Steve is featured in an intimate master drum class setting at the Manhattan School of Music in New York City, May 2006. Longtime fans of Steve – as well as younger drummers just discovering him – will treasure Steve’s wisdom and insights on a wide variety of topics: funk patterns, rudiments applied to the kit, playing with a click, tips for the studio, brush patterns, odd phrases, Mozambique/Latin ideas – it’s all here. 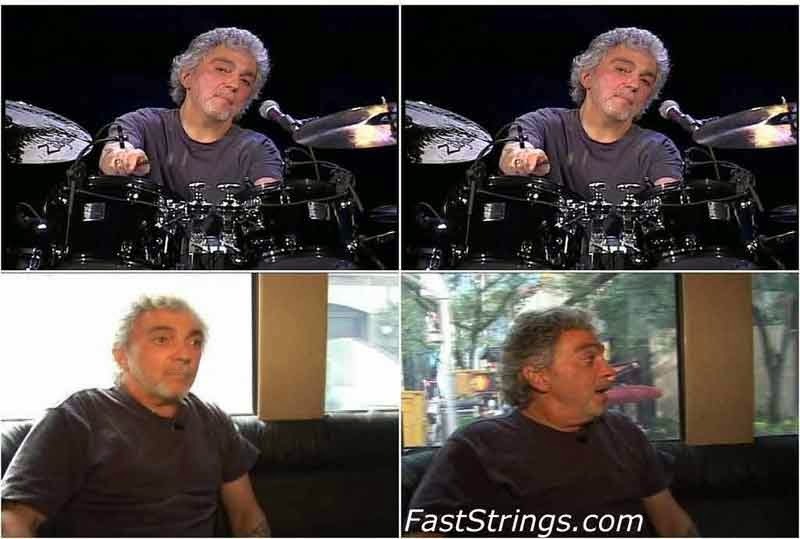 The extensive question-and-answer segments allow Steve Gadd to discuss several of his legendary performances, including “Aja,” “Nite Sprite,” “Late in the Evening,” and “50 Ways to Leave Your Lover.” Steve also performs solo pieces illustrating the essential tools and techniques comprising his incredibly influential drum style and approach. Great DVD – Gadd is so open & so humble for a God of Groove!